Why does the same product have different prices, and what's the deal with Prime Now? We explore the puzzling parts of Amazon shopping. Amazon is the first stop for many online shoppers, but that doesn't mean it's always easy to shop there. The megaretailer comes with pitfalls that can try our patience. We've rounded up 14 of the most confusing things about shopping on Amazon. In some cases, we'll even tell you how to avoid them. It's not hard to find people complaining about how their Amazon Prime 2-day shipping took way longer. However, many shoppers don't realize that the 2-day guarantee doesn't kick in until after the package has shipped. Amazon doesn't guarantee it'll ship your items within two days of purchase — it guarantees your order will get to you within two days of leaving a warehouse. Lots of people are shocked to hear that Amazon doesn't offer price matching. While the site states that it "consistently works toward maintaining competitive prices," this doesn't mean it'll always have the best price. Often, Amazon's real appeal is its convenience. Eagle-eyed Amazon shoppers recognize that not every item on the site is Prime eligible. Items sold by third parties could be subject to shipping charges. And some third-party items are still eligible for free shipping, even if it isn't via Prime. The best thing you can do when shopping is either filter your search results so only Prime-eligible items show up, or look for the Prime logo next to the price before you put an item in your cart. While Amazon does sell a large portion of the items on its site, it's still a marketplace populated by third-party sellers. Even if Amazon fulfills an order, another party can be responsible for the sale and item itself. That means Amazon is just the conduit — and any of your purchases can come from a different seller. Once you find the perfect item on the site, you might think it's just a matter of choosing options like color or size. But some iterations of a product might be cheaper than others. What gives? The unequal prices are due to the fact that different product styles, sizes, or models can be sold by different vendors — all while occupying a single Amazon product page. And different sellers often set different prices. Different product styles, sizes, or models can be sold by different vendors — all while occupying a single Amazon product page. Sometimes, a third parties lists their items as "fulfilled by Amazon." So what does that mean? Essentially, the seller ships its inventory to Amazon, and it's up to Amazon to ship it to the customer in a timely fashion. This process can help offset costs for everyone involved. Of course, if a third party is selling and shipping your order, it's subject to their practices (rather than Amazon's). Fake Amazon reviews are nothing new. Plenty of pieces have pointed out the hilarious reviews that items like the banana slicer or sugar-free gummy bears have amassed. All joking aside, some reviews are simply unhelpful. It's easy to come across reviews giving one star for reasons that have nothing to do with the product itself. Maybe someone didn't read a book, but had issues with the subject matter. Or perhaps someone wants to complain that the packaging was a mess when it arrived. (This is why Amazon often asks you to leave packaging feedback specifically.) Buyer beware: It pays to actually read the reviews, rather than basing judgement on a product's overall rating. AmazonSmile lets you shop the site and donate to charity with your purchase. It doesn't cost anything extra, and you can choose which organization your contributions go to. Every item available for purchase at the regular site is available at smile.amazon.com for the same price. When you shop eligible products, the AmazonSmile Foundation will donate 0.5% of the purchase price. It's genuinely just an easy way to do something good. Amazon usually has awesome prices on household items, but the different size and delivery options can be daunting. For example, if you're looking for Colgate Total whitening toothpaste, you can buy a large amount with Prime — say, an order of six 7.8-oz. tubes — which may be more toothpaste than you want. Alternatively, you can buy two 6-oz. tubes as an add-on item... which means your toothpaste won't ship unless your order total is over $25. Another option? Buy two 6-oz. tubes via Prime Pantry, but then you'll have to pay $5.99 for delivery, since the box is meant to be filled with household and grocery items. In the end, you may just pop over to your local store and grab a tube of toothpaste. Amazon's 2-day shipping is an excellent perk, but if you're ordering something you don't need immediately, Amazon may offer a $1 credit for no-rush shipping. On the one hand, receiving a credit simply for opting into a longer shipping time may seem like a no-brainer. But if you aren't going to use that credit, it might not be worth getting. Unfortunately, the credit isn't universal — you'll receive a credit that can only be used on specific items. The credits can be spent on items from Prime Pantry, Kindle eBooks, Amazon Instant Videos, digital music, Amazon Appstore apps, digital video games, digital software, and more. Additionally, credits often expire after a certain amount of time. Still, if you have environmental concerns, opting for slower shipping times could help you do your part. Online shopping in general has led to a host of environmental concerns. In 2016, transportation became the top producer of carbon dioxide emissions in the U.S. (Previously, power plants held that "honor.") A lot of the increase seems to be related to "the last mile" of deliveries. Trucks are having to drive further to fulfill orders, going everywhere from malls and stores to residential neighborhoods. That means more time spent on the road, which equates to more harmful emissions. To help the environment, consolidate your orders and avoid expedited shipping. So what can you do to help? Online shopping isn't inherently bad for the environment; it's about how it's utilized. Vox recommends consolidating your orders, so you have fewer shipments overall. It also suggests avoiding expedited shipping. Not every item sold on Amazon has the same return policy, particularly if it's sold by a third party. Shoppers typically have 30 days to return anything that is new and unopened. However, the time frame is usually extended for the holidays, and only items that are shipped from Amazon are eligible. Third parties that sell and fulfill orders themselves most often offer policies similar to Amazon. But some do vary, so before you purchase from a third party, be sure to check the return policy. 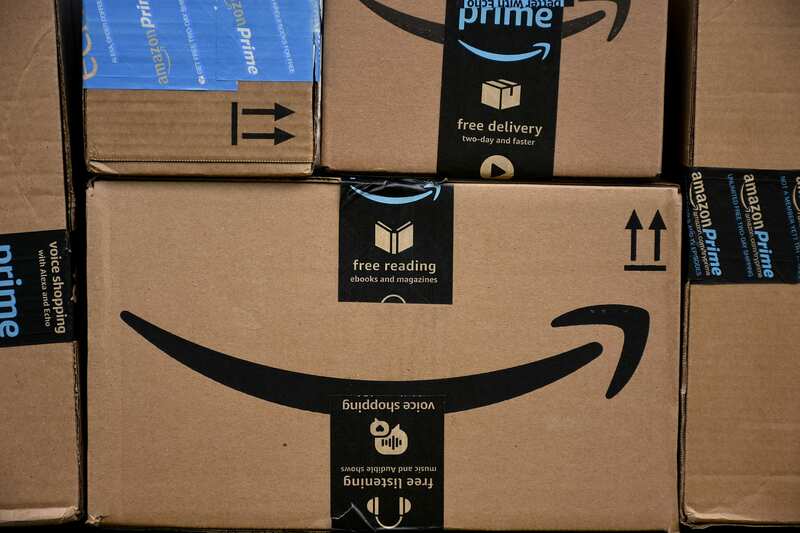 Ever since Amazon introduced Prime Day, the annual summer celebration touted as having more deals than Black Friday, its been plagued by criticism. Shoppers liken the event to a garage sale, with Amazon trying to clean out its shelves and putting useless items up for grabs. While Amazon Prime Day does offer plenty of boring items that might not appeal to shoppers, there are some great picks, too. Prime Day often yields serious discounts on Amazon devices, including the different variations of Echos, Kindles, and Fire TVs. It also produces savings on other high-end items, including fitness trackers, laptops, desktops, small kitchen appliances, toys, and more. Prime Day might not be as great as Black Friday, but it's worth keeping an eye on. If you have Amazon Prime, you might think you have Prime Now. And you do... sort of. The service itself is only available in about 30 areas, and you must be a Prime member in one of those cities to use Prime Now. Those lucky enough to have access can receive same-day deliveries of household items, groceries, electronics, gifts, and more. The service allows shoppers to order from local stores and restaurants, as well. SEE ALSO: What Is Amazon Prime Now? These days, nobody wants to be stuck on the phone trying to resolve an issue. Many companies offer live chat, which can be a more convenient alternative to sitting on the phone. Amazon is one of these companies, but live chat isn't always easy to find. Start by going to the Contact Us option under the Help topics. Unfortunately, you can't jump straight into a conversation. You have to choose whether you want help with a relevant order, a device, digital content and services, or Prime (or something else). Once you choose your order, you must choose your issue. After that, you'll have to select issue details, and possibly additional details. A link for solving the issue will usually be provided, but below that you'll find three options for how to contact Amazon. You can choose from email, phone, or chat. Choosing chat will open a separate window and connect you with a representative you can talk to. We've heard anecdotes about shoppers adding an item to their wish list, only to have the price decrease (or increase) within the next couple of days. However, there's no proof to indicate this is true. That would mean Amazon was lowering its price for an individual, which is something Amazon doesn't do in general. For what it's worth, DealNews staff visit Amazon every day from different locations, and we've never experienced this kind of individual pricing. Even if an item's price doesn't fluctuate just because it's on your wish list, adding an item to your list is a great way to track its price over time. The site regularly notes if a price has increased or decreased since the item was added to the wish list. If you use a tool like CamelCamelCamel, you can also set price targets and be alerted when an item hits your preferred cost. Readers, what confuses you about Amazon? Let us know in the comments below! What confused me the most was their credit cards. I saw their promotions about 5% off and finally I applied and received it. But it turned out that it's Amazon Store credit card while I actually wanted to have Amazon Visa card that has 5% back on Whole Food store as well. Yes, I can apply for this one but why do I need to have 2 cards instead one? Their promotions about refilling card with $100 charge to get $5 of also confusing. I just didn't get it despite I read their notes. Is the 5% on top of 5% back or just instead of tha cash back? Another confusing detail about this promotion is that it appears and disappears suddenly. I do see price changes in wishlists over time - but cannot say that I see them soon after putting them on my wishlist. However, I often see price changes on items that I put in my cart and then don't immediately buy. I don't have Prime, so I'll often take a couple days to put together an order. I've been doing this over the past couple days. When I went to my cart just now, one item went from $17.68 to $16.96 and another went from $6.33 to $5.65. Yesterday, the second item had gone up from $5.86. What irks me is sometimes I buy OEM (original equipment manufacturer) parts and what I get is aftermarket, for OEM price which i return. Sometimes they have a truth in listing issue, might not be from them personally but they have some responsibility to ensure accuracy in listing I believe. As far as WalMart pay, I'm asking how much do Amazon warehouse workers make? As far as making the Walton family billionaires how about making the Bezos family billionaires. What they pay employees isn't one of them. Have you personally witnessed the qualifications of many (not all) Walmart store associates? They tend to have minimal customer interaction experience - or general work experience at all. If Walmart were eliminated, these folks simply would not have jobs. Pay is and must be driven by supply and demand. Doing anything else hurts the least experienced employees the most. If you were to wave a magic wand and force Walmart to pay 50% higher wages, what do you think would happen? Over time minimally qualified existing Walmart employees would be out on the street. Applications to work at Walmart would come from higher qualified employees who were now interested at those higher wages. I wouldn't buy ANYTHING from Walmart EVER. A smart consumer evaluates sellers NOT just on price but on company ethics. Walmart is among the worst - paying its workers food-stamp level wages and screwing suppliers. All to make MORE billions for the Sam Walton family? No thanks. . . . This means Amazon dramatically discounts excess inventory to dump it quickly - sometimes down to 50% off. So we have a lot of items we want but are not urgent in our "save for later list". When you go to your cart, the items in that "save for later list" with price changes are shown. You have to jump fast in many cases. It requires regularly going to your cart to catch deals. Clearly Amazon pricing is highly variable so you have to be diligent and persistent. And while Camelcamelcamel can help with price history and alerts, it is far, far from perfect. 1) It misses price changes completely because there is no practical way for it to track every product every second of every day. 2) It completely ignores promo-code deals. Didn't see mentioned - Amazon page product info quality is highly variable. Whether sold by Amazon or by a third party. 1) More returns than would be necessary if the info were more accurate and complete. 2) Loads of Q&A's, sometimes so many it is impossible to find an answer so the question gets asked many times. Amazon Prime is largely a scam. Just about every time I do a side-to-side with Walmart, I end up buying from Walmart - just spend a (varying amount, but often $35) and Walmart throws in shipping at no extra charge. Mind you, Walmart has recently lost some of their shine since they started advertising two prices - a lower "in store pickup" price and a higher price for mail order customers. Still, generally, the Prime price is significantly higher. I am confused by the number of times Amazon advertises a price on Dealnews and after clicking the link not being able to locate the item for the advertised price. The price is always higher or the coupon is not available on the page as advertised. There is never a mention of the sale expiring and/or no longer being available. 15) Commingled stock: most items are treated as "commodities" and ordering from Amazon as a seller is no guarantee that they sourced the item, leaving you suceptible to counterfeits of pretty much any product. Whether Amazon or one of their "fulfilled by Amazon" partners sourced it, all the stock is treated the same and they'll decide which to ship based on which warehouse(s) can complete your order at the lowest shipping cost. I had a problem today trying to find out how to contact them about an order i returned.Eventually i typed contact customer service in the Amazon search & that's how i was able to find them with the 3 options you stated in your article.At the end of the chat they asked me about how did it go.I mentioned about it being difficult trying to contact customer service. My #1 issue with Amazon has always been a problem shopping at Amazon - as others have already written: "...search for an item, and you get so much junk that has nothing to do with what you searched for" !! It doesn't seem to matter how specific my search terms are. And for sure, customer reviews at Amazon are highly suspect. Amazon reviews have long been a target of shill reviewers. Many product vendors actively use these shill "reviewers" for their products sold at Amazon. This are deliberate efforts to mislead buyers. Amazon prices fluctuate frequently, but I don't find this misleading. Amazon really isn't what it used to be. I still love to shop there, but a lot has gone downhill. It's mentioned here that a lot of products get a one-star review when it's nothing to do with the product, but the same can be said for a lot of five-star reviews. I don't trust the reviews at all anymore. Too many five-star reviews also only have very short one or two-word comments, like "great" or "as expected." So what was great about it, and why five stars because it's "as expected"? Now I check everything I want to buy through Fakespot. If it rates the reviews a C or lower, I pass on it, regardless of the "deal." Having said all that though, their customer service is still second to none. I feel very confident when I do make a purchase there. I don't think they've ever let me down when I've had a problem. Oh and regarding prices, I use the Amazon shopping app while I'm out shopping to compare prices. Quite often I can get a much cheaper price at brick & mortar stores using their coupons. I've been a customer since 1999 and one of the earliest Prime members. I don't really find anything confusing about them but that's probably because I've used them for so long. Love Amazon but always buyer beware. As with any retailer that has reviews, you gotta take them with a grain of salt. I read the reviews exhaustively and even 4 stars don't really impress me. If you take the time, you can get great customer service and I've used the call me now feature (my favorite method, so who cares what their phone number is! ), email and live chat. I recently talked them into taking a $700 machine back, after 4 months! They asked for a 15% restocking fee and I thought that was reasonable. If you are a good consumer, there is nothing "confusing" about Amazon. I've purchased many, many different items from them over the years and IF there was a problem with ANY item, Amazon was quick to correct the problem, always to my satisfaction. But like everything else, it's up to the consumer to understand what they're doing when they're doing it. Be CAREFUL when googling Amazon number. I did it recently without looking and I called a number that wasn't Amazon but a scam. Amazon has lulled people into complacency. Their price are fair at best. I pretty much will check Amazon, but usually find better prices at Target and they run percentage off specials on top of their lower pricing. Several times I have purchased items that I was hesitant about the quality, or if they would work for what I needed them for, so I initially buy just one. When it arrives in a few days and I am very pleased with the product, I go to buy item again, and it has increased almost double from the same sold by Amazon seller I previously used. Leaves a very bad impression in my opinion. I can usually find the same product at Walmart for cents less although I might have to drive up for pickup at least I can save on the over advertised Prime. The only thing "I find confusing" is why people shop there! For those who are having issues getting a phone number to Amazon Customer Service. Type CONTACT US right into the Amazon search bar to get to customer service quickly. It will give you a direct link to contact them. Use the drop downs to find the item in question that you are calling about and then use the "call me" function to get them on the phone almost immediately. Here is my own words of caution: When using your previous orders to get that item again be certain to visit the product page and carefully note if it is from the same source and check the price. I have had both product swaps and dramatic price changes end up in my cart when using my previous orders. At the moment I am kind of angry with Amazon about this. A few other things about Amazon prices. First, Amazon is constantly monitoring the prices of other sellers on their website as well as prices on major competitor websites. If a competitor puts an item on sale, Amazon will often match it. Second, Amazon, sometimes engages in "on-demand" pricing. You may heard this term with Uber, which charges more when there is more demand. Similarly, if a product suddenly becomes popular, Amazon may raise the price in response to the increased demand. Also, check into the camelcamelcamel site. Some of the items will ship UPS, & it ships to your local USPS office many times you will need to drive to the post office for pickup! If I need to drive to the US post office for pickup, I can drive to my local store and buy the item! To this I would add that Amazon doesn't post its customer service phone number anywhere on its site - at least, not that I could find. Recently I had a problem when an "Amazon partner" order showed as "delivered" but I hadn't received it. The partner said take the issue to Amazon. But how? Amazon's site kept referring me back to the partner. I finally found the number via Google. And the Amazon rep was wonderful, and Amazon refunded me. But should it really be so agonizing to get to that point? I love Amazon! I'm also a Prime customer. Amazon does have it issues from time to time but any failings have always been made right. I'm just 1 customer but when the pricing magically goes up on an item, I buy it somewhere else. I don't take their pricing as gospel. I shop them all the time. It's just a small message until enough people participate. i have used a site called FAKESPOT.COM to grade the reviews on any Amazon item. Just cut and paste the amazon URL into fakespot. Lately, it appears positive reviews either seem too positive or do not cover the item being reviewed. Sometimes best to look at the percentage of reviews with a 1-star rating. If over 10 %, then look at all the reviews in that 1-star category. If a seller won't honor it's own own coupon, there's little Amazon will do for you to resolve the issue. Most of the time Dealnews coupons for Amazon either don't work or indicate that they are expired. It seems the more frequently you look at an Amazon item in your decision process, the higher the price will be when you look at the item again. If you're on welfare, you can get a discount for monthly Prime membership. If not, you don't, even if you renew each year as a loyal repeat customer. The Amazon search engine is inconsistent. Searching for an item will lead to X amount of items, many of which are not even close to your search string. If you sort the items, then go back to the same search, you'll end up with less or different items. Never had any of my original electronics bought from Amaz. last for more than 2 yrs. 1st Kindle Fire HD 7 tablet would overheat & died 17 days after the warranty. Had to spend 1 hr. on Thanksgiving Day trying to convince CS to do something. They try to get you to pay almost full price for a refurbished model. I said this should last 3 or 4 yrs. at least & compared how long my IPod has lasted in comparison. That did the trick & they sent me a free refurbished model. My DVD recorder from them lasted just over 2 yrs. Found the exact same model at a thrift store from the same manufacturing yr. and that one works perfectly still. Another Amaz. one is almost 2 yrs old & will stop working soon. First laptop from Amaz. lasted only 6 months.Bought a different brand & that one died after only 2 weeks. Ended up buying the 1st model over again & that one is OK.
My brother is on his 3rd TV from Amaz. in prob. 5/6 yrs. Think we have broken electronics from Amaz. in almost every room of the house. I also have a lot of problems trying to put together a same day shipping order. I'll usually pick about 3 items to reach the $35 and each product page will show free same day shipping for my zip code. I'll have the items in my cart and make it all the way to checkout and suddenly they won't give it to me. Or, I'll have checked out already and suddenly the same day shipping items are shipping separately or on a totally different day, usually with 2 day. I mentioned it during a live chat one day and basically all the person said was, "That's weird". I'll order something like a book with same day and it's supposed to have many hours left in which to order to make the shipping cutoff. Again, it's not available. When I use the app, it will often not give me the same day option at checkout at all. Now they are giving me a "Sorry, your package may be delayed" message a lot of the time. It's extremely frustrating. One thing that irks me: searching for an item, and you get so much junk that has nothing to do with what you searched for. Sure you get things that are related, but they mostly should not be included in the search either (i.e. parts that are sold separately). Things are categorized very poorly, and filters hardly work efficiently. You do not need to spend 25 dollars in order to get the add on items. Choose an item costing at least 25 dollars that has yet to be released, such as a book or movie. These are items labeled preorder. Amazon will ship the add on items separately first, right away. Then you just go back and cancel the rest of the order after your add on items ship. Many times the code words to get the discount don't work. I've tried many times and can't get the discount. -->when you are logged in and see an item saying "free one day shipping" amazon can change what it advertise on front page when you proceed to cart and you have to swallow it. Although as a prime member your address is in system and although you can order from front page with just one click, they prefer to behave as if they can't calculate final shipping offer until you proceed to the cart and prefer to advertise false shipping option. In terms and conditions they are liable to what is promised on cart not on main page. Yes sometimes i got great customer service on amazon back in the days, that is why i have been a loyal prime member for so long but recently i have started to see the terms and conditions slaps more and more so i don't see the value anymore. You are totally left in the "favor/mercy" of the random customer service rep. It would've been fair to reflect proper customer service understanding to the terms from the beginning i believe. -->When amazon says "free two day shipping" it is two days from the time item is shipped out. Even if item seems like in stock and you have the reasonable expectation that "it may leave tomorrow and you get it on third day latest", an item marked as "available in stock" may leave warehouse in 4 days and you may get it in 6th day. And guess what, you have to swallow it. If the customer rep is on a good mood you may have a partial refund, if not he can use terms and conditions against you and you have to live with it. -->if you have a yearly prime membership and would like to cancel it at some point due to dissatisfaction, they can say "we don't refund you the proportion of the fee you paid for remaining time you haven't used from that year" and you have to swallow it. I'd say the single worst thing about Amazon is the reviews, anyone can make a fake account and write reviews for products to affect their rating. The second biggest issue I have with Amazon is the absolutely confusing menu system for finding technical support or trying to find something specific, I typically have to Google my issue to figure it out.